The Federal Government of Nigeria has stated that the payment of pension benefits to retired Biafran police officers would end the painful legacies of the Nigerian Civil War. DAILY POST reports that President Muhammadu Buhari had approved the payment of pensionto police personnel who served under the defunct Biafran police during the civil war. The affected police officer were part of the Nigerian Police Force before the outbreak of the war but found themselves on the Biafran side when the war commenced between 1967 – 1970. Executive Secretary, PTAD, Mrs Sharon Ikeazor, on Friday announced that 162 officers who have never been on the payroll, and 57 Next of Kin who have not been paid their death benefits, would be paid on Friday, in the first batch of the exercise. Another set, comprising about 155 retired Biafran police officers, who are on the payroll but were being ‘short paid’, would be paid in the next batch as soon as their pension benefit computation is concluded, Ikeazor added. The PTAD boss explained that the payment of the pension benefits was part of measures taken by the Federal Government to heal the wounds of the Civil War. 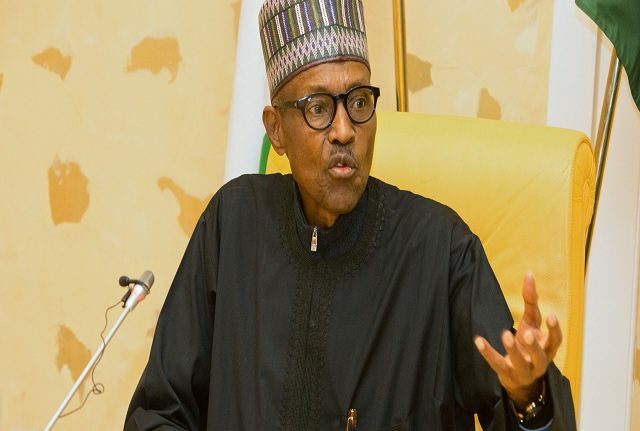 “This represents another decision by the current Federal Government to bring closure to the painful legacies of the Civil War, and indeed a clear demonstration that President Muhammadu Buhari is indeed a father to all Nigerians and that his administration’s reforms under PTAD will ensure that Nigerians who spent the productive years of their lives serving their nation will not experience difficulties in getting their pensions,” Ikeazor said. Chairman of the Association of Retired War Affected Police Officers, the union of the retired Biafran police personnel, Mr. Matthew Udeh, explained that the payment of their pension benefits came after a long period of agitation. Speaking to journalists, he said, “I was a police officer of the rank of ASP before the war ended. We happen to have served in Biafra during the war. After the war, some policemen and soldiers who served in Biafra during the war were dismissed. We felt that was unfair because other federal civil servants who served in Biafra during the war were reabsorbed. So, from 1970, we started agitating for justice.